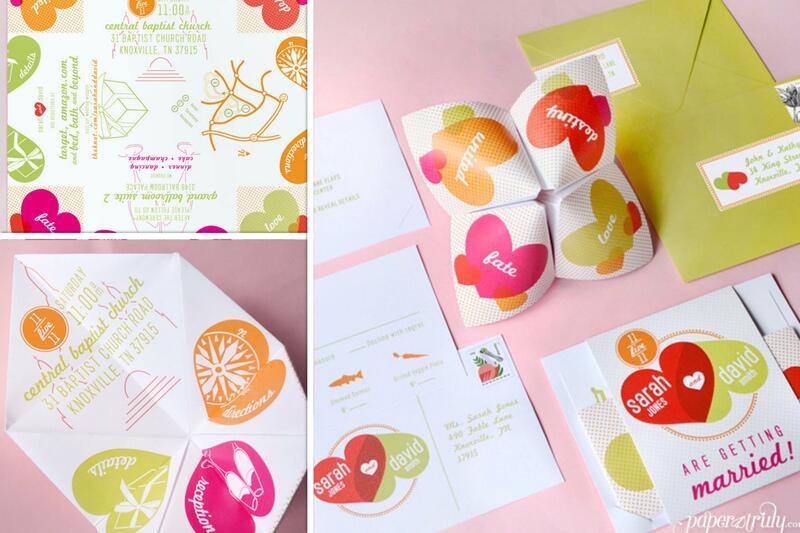 The Coolest, Most Amazing Way to Invite Guests: Interactive Wedding Invitations! 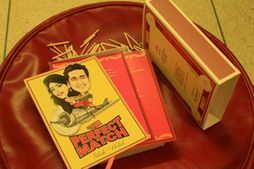 How about an invite which transforms into a game of ludo? Yep, that's what this customised card does... so from looking like a harmless pretty thing, it can be opened and converted to a ludo board.. how cool is that? And sooo pretty! 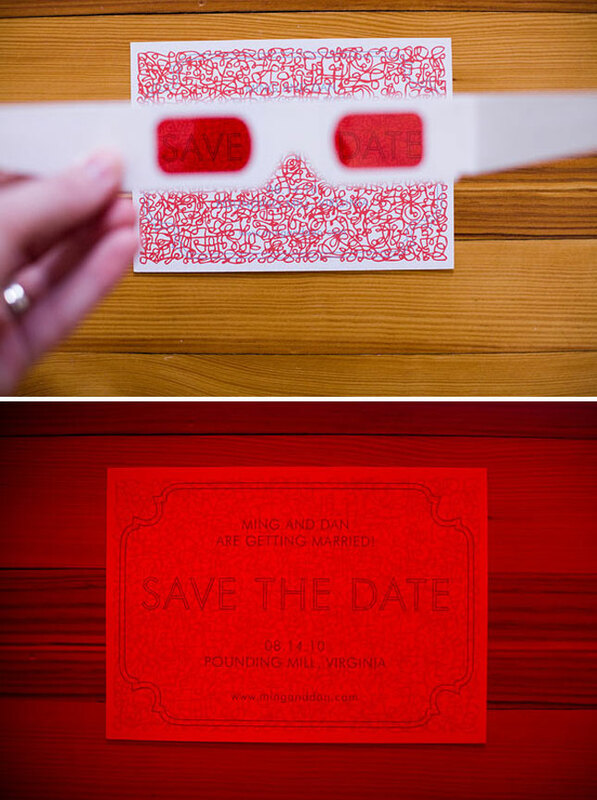 How awesome are these invitations which can be seen clearly only through the 3D glasses that come with it? 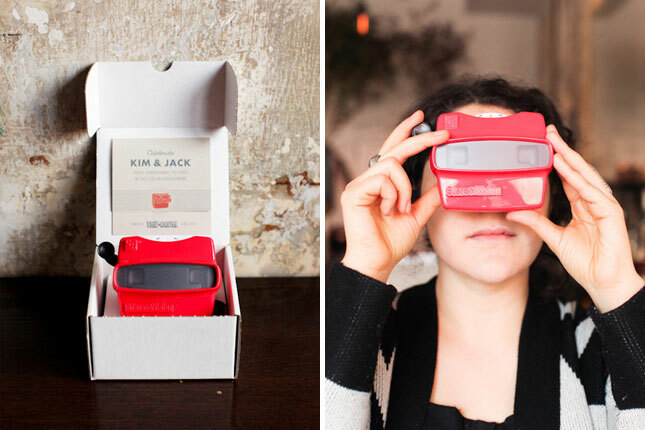 Available for order on Etsy, these viewmaster invites can be custom-made with photos of you guys on it! You can choose to get this done only for close family and friends! Accept it! We all get super excited about scratching a scratch card even if we know we're not going to win anything! 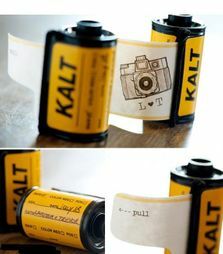 So how cool would it be to keep your wedding date a mystery and ask your guests to scratch it to reveal it! 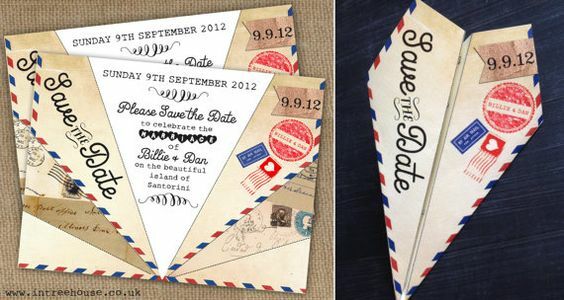 Another superb idea for a Save the Date Card! 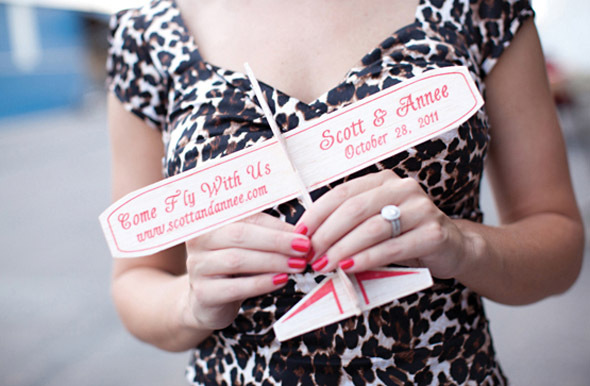 Wedding Invite that becomes a Plane! 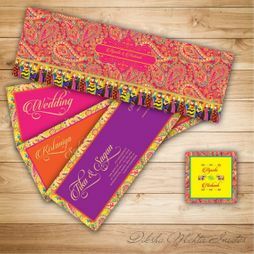 These invites do not make much sense when you get them- they look a but haphazard.. but when you cut or fold along the lines, you get a plane which has all the details and makes so much sense! 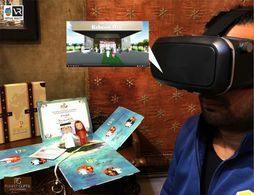 An awesome way to make your wedding memorable right from the start! Better known in India as Tippy Tippy Tap, this is a childhood fave and can make for such a fun invite for close family and friends! Like the numbers and colours, you get one piece of information with every selection of the events! 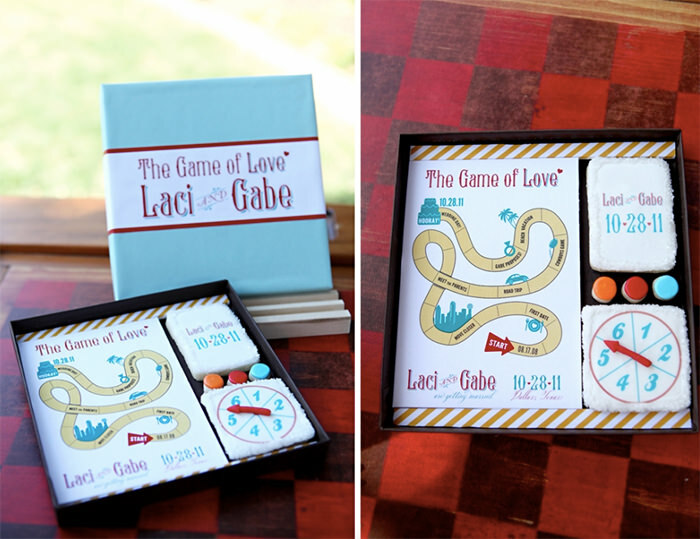 Announce your wedding in the form of an edible board game! Everything here- the game board elements, spinner, tokens and playing cards are all cookies and you can actually play the game! 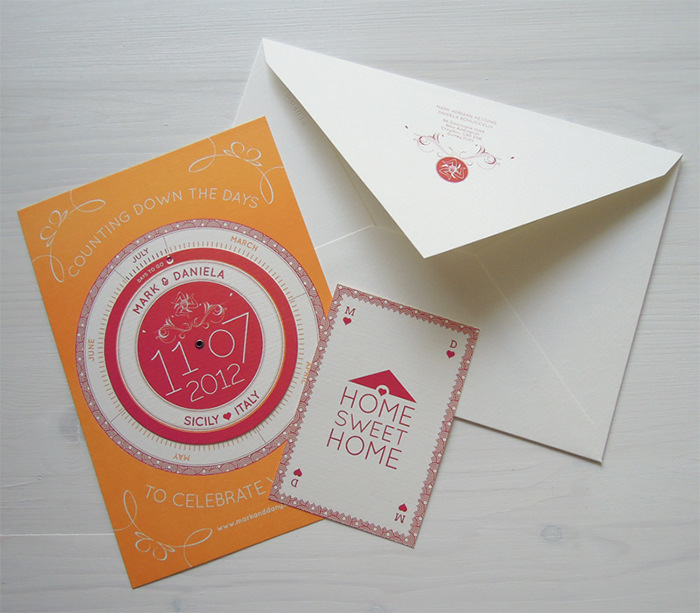 Quite an unusual invitation which also works as a makeshift countdown timer to the wedding day! The card has a front wheel that the guest can turn to correctly indicate how many days are left to the wedding day, so that they can plan accordingly! 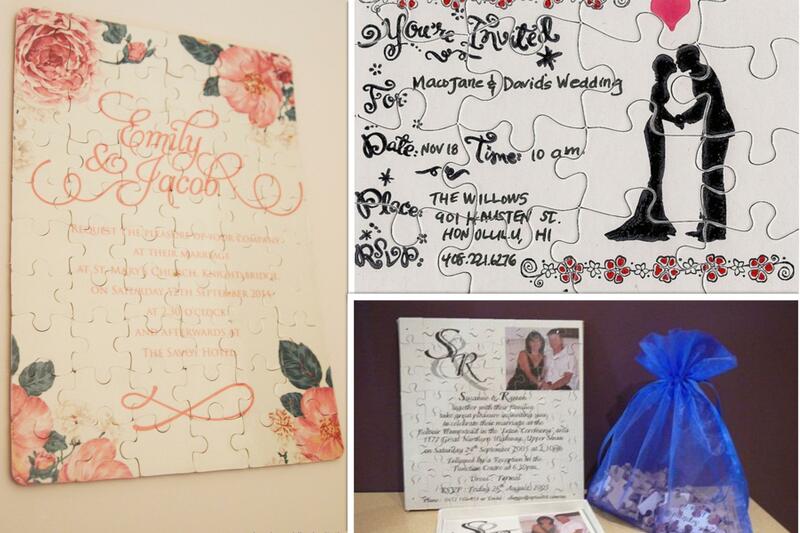 All your guests get is one card and a bag- the card mentioning your name and asking them to fit the pieces of the puzzle together- and when they do, they get to see all the wedding details! How cool is that? So, any more fun ideas? 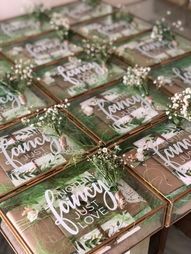 This Boho Wedding Invite Box Idea Is So Pretty & Reusable! 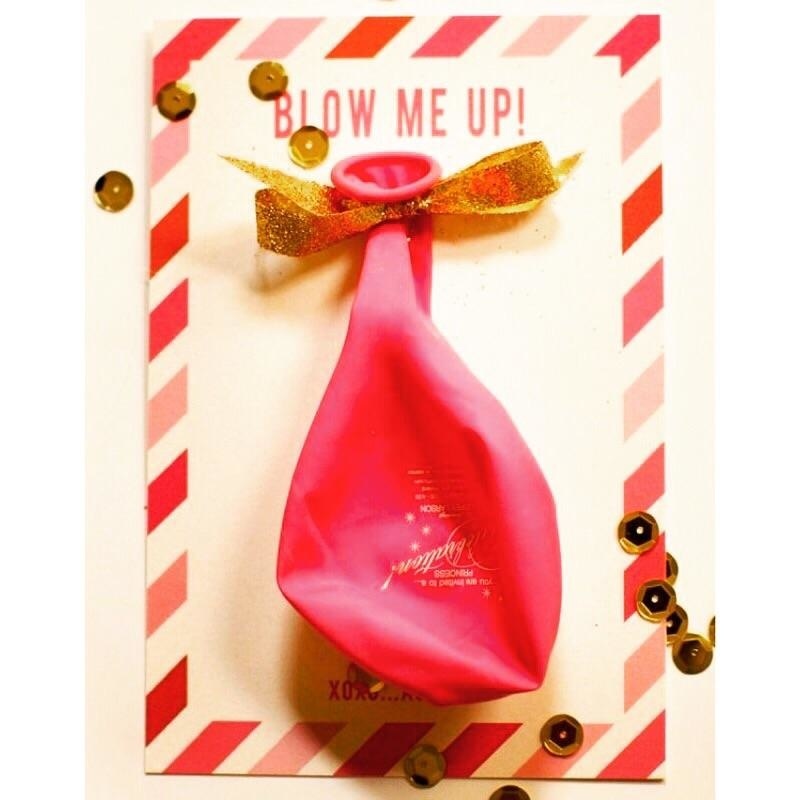 Are These The Most Creative Wedding Cards We've Ever Seen? 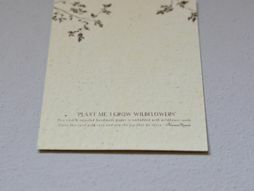 Eco Friendly Wedding Invites: Plantable Seed Paper, Wood Invites & More !